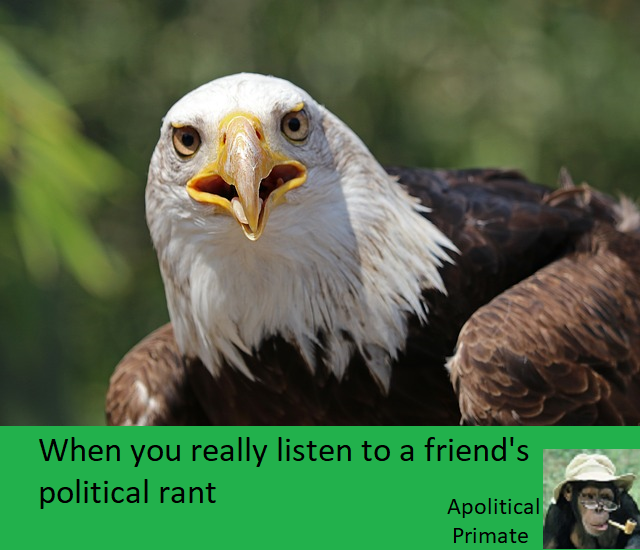 Do you know people who constantly rant about politics? Sure you do. On social media, at family gatherings, at meetings at work. Have you ever listened to them, really listened? Of course you haven’t. Cause if you did your brain would explode.